Each year we canvass opinion and trends to try and come up with innovative designs. Below are two of the most prominent trends that might help you when making a choice. The concept of combining different timbers isn’t going away, mainly due to its general practicality and look. Mixing oak and white primed doors together in a home allows you to create a contrasting look whilst still using the same design style. For instance, looking at the Treviso range, the Oak Door version utilises deep u-grooves and offers more depth to emphasise the natural timber. By simply adding the matching White Primed Treviso curved design upstairs it provides a consistent look throughout your home, but the lighter primed door has more of a reflective quality which helps brighten up smaller spaces, like bedrooms, bathrooms and upstairs corridors. The Treviso range is also available in a glazed option that also uses the same u-groove design but with a stunning glass design that allows light to flow from one room to the next. There is a growing recent trend recently there is a growing trend to use darker timber doors downstairs with white or lighter timber architraves and skirting to create a real focal point in your home. Visit Portici Walnut to see this style in action. Curved design doors are extremely popular at the moment as they tend to produce a real balance in the home. 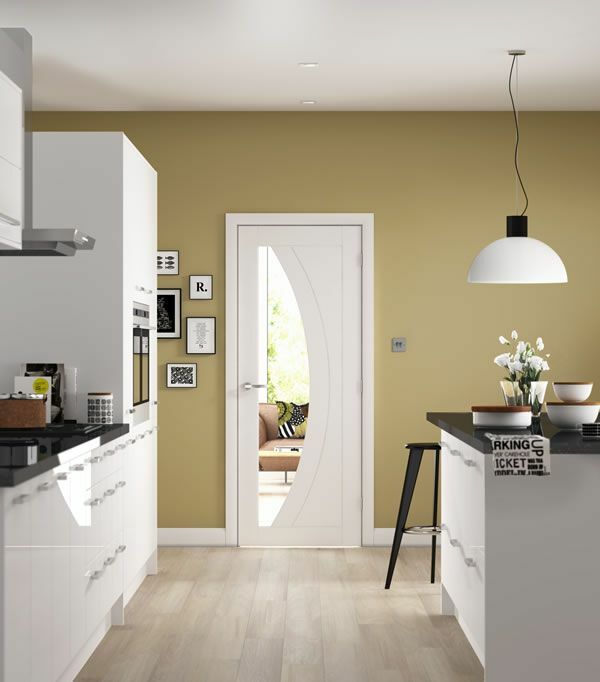 Our growing Ellipse range still offers the most comprehensive range of elegant smooth symmetrical and asymmetrical curved door designs on the market. These designs are available in both Oak and White Primed options. The curved designs are highly influenced and complemented by the current trends in European kitchen and furniture markets. View our comprehensive range of Ellipse curved doors, including the Verona and Pesaro and create a truly stunning and unique look in your home.